This story about Lily was one of physical, mental and spiritual growth. She became a strong young lady as her trials were many. The book is well written, full of mystery and action. I just didn’t connect with this character. The, well, descriptions were just too descriptive I guess. It does have a good story line, interesting characters and an interesting ending that tied together and explained her story. It’s 1914. American women are demanding the vote. And the first flames of the Great War are igniting Europe. But a battle of a different sort rages in Oklahoma. The thermometer registers one hundred six degrees, an out-of-the-ordinary occurrence even for the twenty-eighth day of July. But this is no ordinary day. Lily fidgets in the old church pew. Her name has clotted into a by-word. Her blood is tainted. Can she right the wrongs? Or will her past forever define her? She eyes the judge. And the courtroom holds its breath. Linda Brooks Davis was born and reared on a farm in Raymondville, a small Rio Grande Valley community in the southernmost tip of Texas. Linda earned a Bachelor’s Degree in Speech Pathology from Abilene Christian University and a Master’s Degree from Houston Baptist University. She retired in 2008 after forty years as a special educator and administrator. 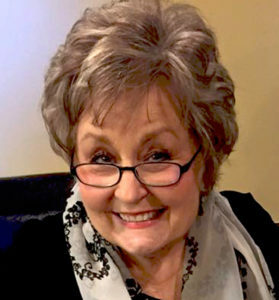 Linda and her beloved husband Al worship and minister at Oak Hills Church in San Antonio and dote on six grandchildren, three of whom are triplets. Readers may contact Linda through her website, www.lindabrooksdavis.com. Linda’s debut novel, The Calling of Ella McFarland, is set in 1905 Indian Territory prior to Oklahoma statehood. It won the 2014 Jerry Jenkins Operation First Novel Award. It was released in 2015 and won the 2016 American Christian Fiction Writers Carol Award. The sequel novella, A Christmas to Remember, is set in 1908 Oklahoma and released in December, 2016. A second novella, A Christmas Measure of Love, released in 2017. 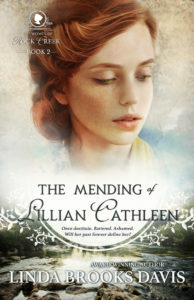 It is set in 1910 and is a prequel to Linda’s second full-length novel, this one set in 1914, The Mending of Lily Cathleen, which releases in 2018. Certain ancestors and their experiences appear in my stories. There’s bit of my grandmother and a strong dash of my mother in one character. My father’s sterling qualities appear in another. And there’s a low-down family reprobate in another. Don’t forget cotton planting, hoeing, and harvest time. The glorious aroma of fresh-picked cotton and the nothing-in-the-world-like-it odor from the pig pen. A sewing machine whirring. The clink of a milk pail. A cow hollering to be milked. Summer’s sun on my face, the hearty South Texas wind in my hair, and the comfort of backing up to a wall heater on a cold winter morning. All find their way into the plot lines. In my family’s history, my own life, and the kaleidoscope of lives in my stories, Jesus appears as the golden thread linking the past to the present and beyond. He turns an ordinary morning into a hint of the “Sweet By & By.” He adds the delicate aroma of the Rose of Sharon to the sultry stillness before a summer storm. And He wraps the bitterness of grief and failure in the richness of His incomparable grace. The Mending of Lillian Cathleen is one of those tales that reach beyond the ordinary to the extraordinary because of Jesus. Lily’s story captures some of the heartache of domestic abuse, but it packs a powerfully joyous punch at the end. I thought I’d add a strong dash of sweet to this post with a recipe that appears in The Calling of Ella McFarland (which is re-releasing in October 2018). Mama’s (or Papa’s) Nectar of Heaven was a treat my mother enjoyed as a child. She set the same yummy delicacy before her kids, and I, of course, have done the same. Here ’tis, ya’ll, from Texas with sweet, sweet love. 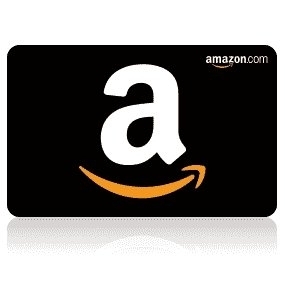 D’S QUILTS & BOOKS, October 21 You are here..
To celebrate her tour, Linda is giving away a grand prize of a $50 Amazon gift card!! I was gifted a copy to participate in this book tour. My participation and review are voluntary. This entry was posted in Christian Historical fiction, giveaway, Reviews and tagged Celebrate Lit, Christian, giveaway. This sounds like an exciting and interesting book. This story sounds interesting, but I agree that wordy descriptions can be distracting.